As marketers advertise in more and more digital channels, more and more marketers need ways to gauge the value of those channels and calibrate their media spend proportionately. To do that, they need cross-channel attribution technologies, which are sorely lacking (as anyone checking out an industry conference will be surely attest). Cross-channel ad attribution firm Adometry has raised an $8 million funding round in hopes of pushing the business forward. According to Adometry CEO Paul Pellman, the company’s technology can track offline conversions and tie those to online ad activities—helping brands figure out the impact and value of multiple media channels. The new funding round will accelerate the company’s product roadmap, which is mapped to extend Adometry’s recent moves. Adometry isn’t profitable but is “on track and ahead of plan,” Pellman said, noting that Adometry has ramped up its expenses in the near term to add to the company’s capabilities. The company more than doubled its staff since late 2011 to total 80 employees and plans to enjoy similar growth over the next year. 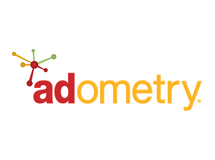 Most of Adometry’s employees are based in its Austin headquarters, but the company also has an office in Seattle and plans to expand its U.S. footprint while adding offices in the United Kingdom and European Union to services overseas clients. Shasta Ventures led the round, and the firm’s managing director Jason Pressman will join Adometry’s board. “Jason and Shasta bring a whole new layer of domain expertise in ad tech and marketing tech,” Pellman said. Austin Ventures, Sierra Ventures and Stanford University also participated in the latest round and are all previous investors with seats on Adometry’s board.